Around the San Jose Sharks, when their young power forward Timo Meier scores, its called Timo Time. 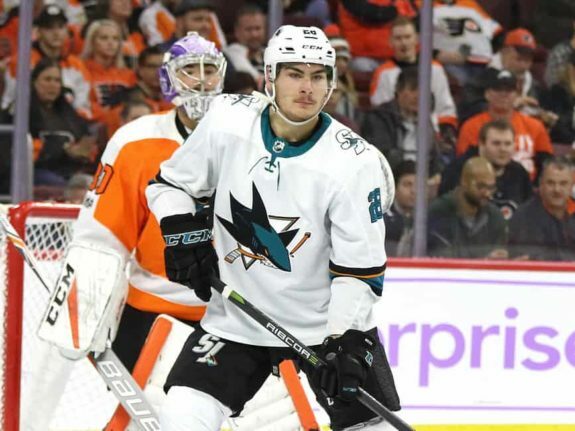 In the Sharks two recent wins, the first over the New Jersey Devils and the second over the Dallas Stars, it has been Timo Time twice in each game. In the victory over the Devils, the Sharks were the dominant team, so perhaps Meier’s contributions were not critical. Against, the Stars, though Meier’s pair of goals were the difference. In the past few weeks, the Sharks had gone to Dallas twice and lost one-goal decisions both times. With teams in the Pacific Division heating up, another loss to the Central Division rival would leave the Sharks outside a playoff spot. With the Sharks trailing Dallas 1-0, Meier weaved a bit near the blue line, getting the best shooting angle and lining up screens effectively in the process. From long range, he fired the puck past goalie Anton Khudobin, tying the game. Meier’s second score put the Sharks up 2-1. From the wing, he led a 3-on-1 fast break, initially hitting Logan Couture with a pass. This left Couture to either fire the puck or pass to one of the wingers. Couture quickly returned the puck to Meier who one-timed it past Khudobin. In his third NHL season, Meier seems to have figured out the NHL. He struggled his first season, as he repeatedly made questionable decisions with the puck. This was not surprising. At other levels of hockey, Meier was accustomed to being the strongest player on the ice. NHL players were bigger, stronger and faster than the ones he’d be able to dominate previously. He needed to adjust; the process took root in the middle of his second season. He started to figure things out and the future turned bright. By season’s end, he’d scored 21 goals. This season, he’s continued to progress nicely and is on pace to get 40 goals. He’s arrived. Meier’s ability to score a variety of different ways is paying off. He’s looked a lot like a sniper, firing away and picking corners. But he’s equally at home around the net, banging pucks past goalies on rebounds or simply outmuscling defenders to get shots. While he isn’t known for his speed, Meier’s open ice work is also impressive. His second goal against Dallas is an example of this, as were both of his fast break snipes against the Devils, one on the right side, on one the left. Add a bit of sandpaper to the mix, and Meier rates as one of the brightest young power forwards in the league. The Sharks have leaned heavily on their youngest player, Meier, and their second oldest, Pavelski, to provide a major chunk of the team’s goal scoring. Pavelski leads the team with 20 goals (six on the power play), Meier is up to 18 (just three on the power play). Lest one think Meier is just a scorer, he also leads the team in plus/minus with a plus-9 rating and has been effective on the penalty kill, including a short-handed goal. Meier and Pavelski have provided offense, but another area has been key to their recent wins; the Sharks new found religion for limiting opponents odd man rushes. In the last three games, the Sharks have kept opponents from getting odd man rushes and the results are showing up in the win column. The goalie play has been adequate, not elite, yet the Sharks are putting up wins. The level of competition steps up shortly. In the Sharks recent 5-1-0 stretch, they’ve played Dallas twice, a team missing several key defensemen including one of the league’s best in John Klingberg. Dallas sits in fourth place in their division. The rest of the games in this six game sequence were against teams in the bottom half of their division, a game each against a team sitting in fifth, in sixth, in seventh and in eighth. The Sharks play the last place Chicago Blackhawks next, but then comes a major step up in quality with games against the Minnesota Wild (a shade ahead of Dallas in the standings), and the Winnipeg Jets (leaders of the tough Central Division). • Many consider the NHL’s Central Division the league’s best, and as a result, many also expect the Central to send five teams to the playoffs, leaving just three slots for the Pacific Division teams. Up until about (American) Thanksgiving, this narrative seemed to be playing out. But with the recent strong play coming from the Anaheim Ducks, Edmonton Oilers and Vegas Golden Knights, the balance has changed. The Calgary Flames sit atop the division, the Sharks are now tied for second. Each division would send four teams. Vegas, currently fifth in the Pacific, is within striking range of another playoff spot for the Pacific. 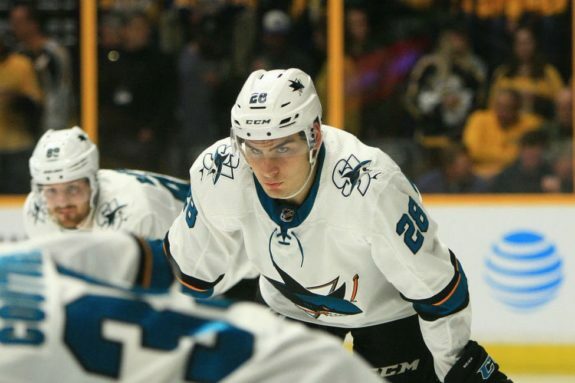 • In recent articles, we highlighted the critical importance of the Sharks power play, indicating it needed to be elite in both power play opportunities and power play efficiency. In the their last six power plays, the Sharks have scored once, which is less than optimal, but a small sample size. However, it’s taken four games to get six power plays, which is way less than optimal. Optimal means the Sharks are among the league leaders in both the total number of power plays and efficiency of the power play. At 4.0 power plays per game (first in the league) and a 30% success rate (first in the league), the expected result is five goals in four games, not the single goal the Sharks have achieved. The elite power play this team needs – and is fully capable of achieving – remains elusive. • With the All-Star Game next month and voting already underway, talk has begun about who should be the Sharks representative(s) to the game, which is in San Jose. Based on play, Burns, Meier and Pavelski are the clear leaders. But the player who should go is Joe Thornton. His numbers don’t merit inclusion, but to be fair, he’s merited inclusion plenty of times and wasn’t selected. The bottom line is simple, when one gets the chance to honor a legend in their home venue at an All-Star game – any sport, any time– just do it.